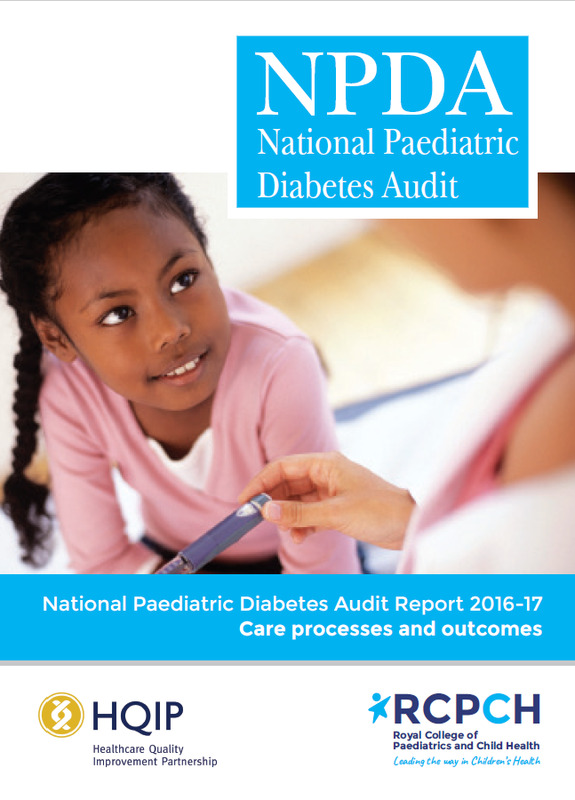 The National Paediatric Diabetes Audit (NPDA) was established in 2003 to support professionals, families and commissioners in improving the provision of care provided by paediatric diabetes units (PDU). The NPDA is commissioned by the Healthcare Quality Improvement Partnership (HQIP), funded by NHS England and the Welsh Government, and is delivered by the Royal College of Paediatrics and Child Health (RCPCH). The NPDA produces yearly national reports, the latest of which is the NPDA 2016-17 National Report, published on the 12th July 2018, which summarises data collected between 01 April 2016 and 31 March 2017. The NPDA has developed this online reporting tool with the intention of making the results of the analysis of NPDA data more interactive and accessible at PDU, regional network, and clinical commissioning group (CCG)/local health board (LHB) level. Please note that all results relating to outcomes or care processes are applicable to children and young people with Type 1 diabetes only, as numbers with other types of diabetes are too small to report at PDU/regional/CCG/LHB level. Please refer to the NPDA 2016-17 National Report, for summaries of outcomes and care processes received by all children and young people with Type 1 or Type 2 diabetes in England and Wales. The NPDA project board hopes that this tool will further enhance the ability of the audit to encourage the sharing of best practice and to stimulate quality improvement activities for the benefit of children and young people with diabetes and their families. To help you make the most of NPDA Results Online, the links below provide guidance on how to use this interactive tool, and how to interpret some of the results, such as median HbA1c values or the outlier funnel plots.